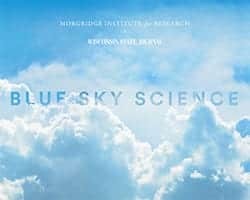 News & Stories > Blue Sky Science > How long does it take a GMO product to grow? Today, scientists have the technology to take genes from one species and insert them into another. These products are considered transgenic crops or organisms, and are often what people think of in terms of GMOs. Usually it takes about 10 years to modify a crop, or to incorporate a transgene and develop a hybrid for release to commercial farmers. This process is being sped up all the time, especially as more regulatory processes are better defined. As far as crop development and the growth rate of the crops themselves, there’s really no difference between a transgenic crop and a traditional crop. It takes just as long to grow a GMO crop as it does to grow a regular conventional hybrid. There are several reasons to modify a crop. In corn, the primary motivation is to increase yield. Some hybrid corns can produce, each year, a bushel or two more per acre than a traditional corn crop. Crops can also be bred to prevent disease and keep away insects. Diseases and insects have the power to wipe out entire crops. In transgenic crops, scientists can, and have, bred natural insecticides into the crop. It helps control insects so farmers don’t have to spray insecticides. The possibilities for transgenic crops are tremendous, and we’re only just starting to see the potential. About 36 transgenes are commercially deployed right now, but there are over 8,000 registered, so lots of new activity is expected. Technology and transgenic crops are transforming the way crops are grown and leading to better erosion control, reduction of pesticide use and improved water quality.